Located roughly 200 miles from Melbourne, the Riviera Beach Resort gives you a different way to see and experience Australia. Instead of encountering the large crowds of the city, you can kick back in a calmer and more relaxing environment and sleep so close to the beach that you can smell the ocean air every morning and night. The resort is close to attractions that are perfect for kids and families as well as some recreational activities that the grown-ups will love. Though you have plenty of options in regards to Australia timeshare resales in and around Lakes Entrance, the amenities available in Riviera Beach Resort units are second to none. You get your own kitchen that comes with appliances like a dishwasher, microwave oven and stove, but you also get central heat and air. Those systems come in handy on cooler nights and hotter days. All units come with two televisions connected to cable and both a washer and dryer so you can pack light. The resort gives you the choice between a unit with two bedrooms or three bedrooms, but both types of timeshares have lots of room and give you the privacy that you crave while on vacation. This resort puts you close to some of the more popular recreational activities, including swimming, canoeing and fishing. You can rent all the equipment that you need from local shops and even grab a bicycle from one of those shops to check out the local scenery. The Griffiths Shell Museum & Marine Display is a top attraction for both kids and adults. It dates back to the early 1960s and features some gorgeous animals. When traveling with the young and the young at heart, you won't want to miss the Lakes Aquadome, which features a pool for kids and other fun things to do. This Lakes Entrance resort is also close to miniature golfing and some of the country's best full golf courses. 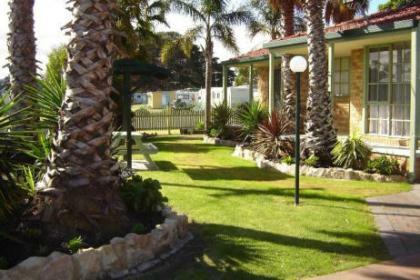 Some of the top Australia timeshare resales for travelers like you are available from the Riviera Beach Resort. 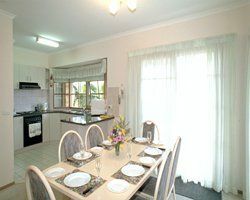 Contact Riviera Beach Resort Lakes Entrance Specialist Today!